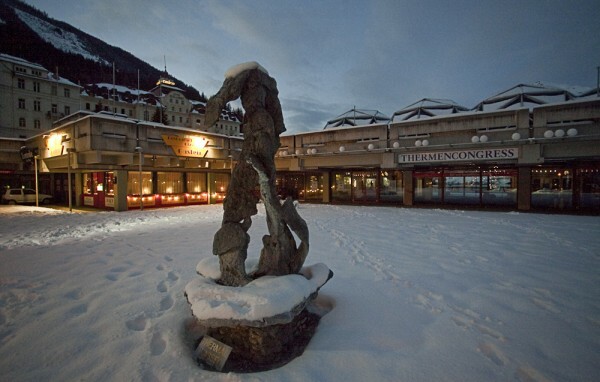 The resort of Bad Gastein sits at the top of the Gastein Valley about an hour from Salzburg by car. With a permanant population of less than 6,000, the resort is heavily reliant on tourism, which has historically come in two different ways. Skiing has taken off in the area since 1958, when the world championships were held in the area. 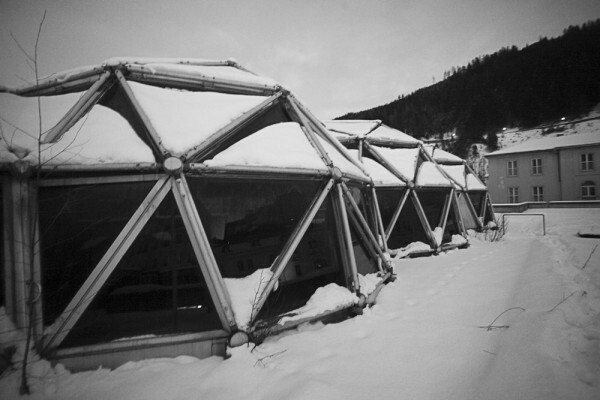 Subsequent developments of the Sport Gastein and Skizentrum Angertal areas have sustained tourism since the 1980s. As the resort developed in the 19th century as a spa well known for it’s healing waters, notoriety increased as the Empress Elisabeth visited, along with Kaiser Wilhelm I and Otto Von Bismarck. Mass tourism was supported by the construction of the Tauern railway line in 1905, which ran from Salzberg through the Alps. 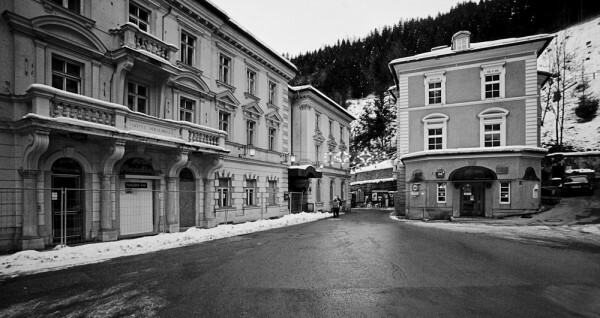 At one time, the Austrian National Health policy granted each citizen a free spa treatment as part of a wellness programme, and the area boomed. Various centres were established, with the imposing Grand Hotel De L’Europe opening in 1907, followed soon after by The Straubinger and the Kurhotel, both situated close to the town square. During the 1970s, the town square was removed and the Kongresshalle was built in brutalist concrete, with the view being to expand tourism by attracting businesses to have conferences there. It’s now disused, along with most of the hotels around it. 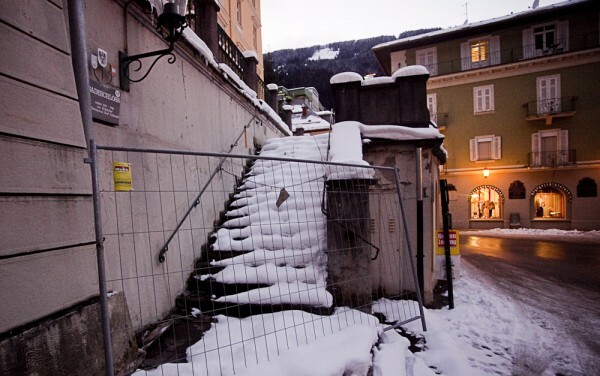 Don’t get me wrong, Bad Gastein isn’t a ghost town. The Silver Bullet and Hagbloms are both popular bars, the former having expanded in size a year ago. Both have live bands each night and clearly do sufficiently well to keep trading. The slopes are busy, but the old town lies dead. The Stubnerkogelbahn ski-lifts are popular and there’s a distinct lack of vacant premises around these. A few years ago an Austrian investor spent £1.5m on some of these buildings in the old town, and according to the local estate agent, now wants this investment to turn into £15 million. Clearly bonkers, but an admirable attempt at capitalism. The bars and shops that were in the Thermencongress area when I first visited in 2007 are now closed down, including the nightclub in the picture above. The board describes what’s going on, and this is written on other sides in German and Italian. The access to the roof is now closed off with boards on the stairs, but if you venture around the back, it’s wide open. Some formerly disused hotels have changed hands and are now up and running again. The English and Scandinavian ski tour operators keep the place alive, so there’s a friendly vibe to the place, if a very Danish one. The Russians come in after Christmas and fill the place. They seem to want to buy it as well – it’s been reported by a local estate agent that they are keeping the market afloat for apartments. 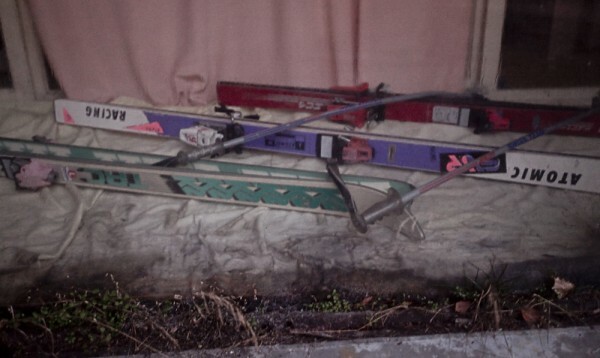 An old ski shop in the basement of one of these old hotels has skis from the mid nineties in it’s window. Moss is now growing on the display. 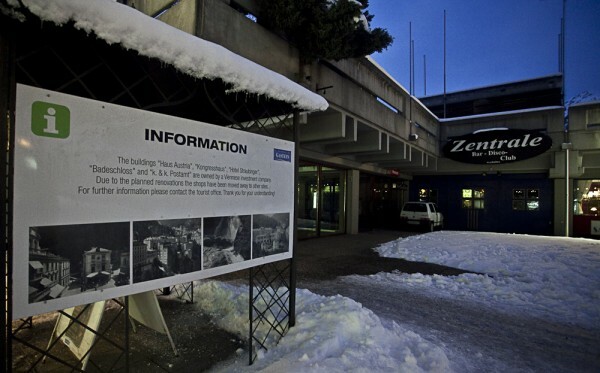 The hotel has been more recently secured since being acquired by the Viennese investment firm – four years on and nothing’s happened in terms of developing it. The economy has of course crashed in this time. 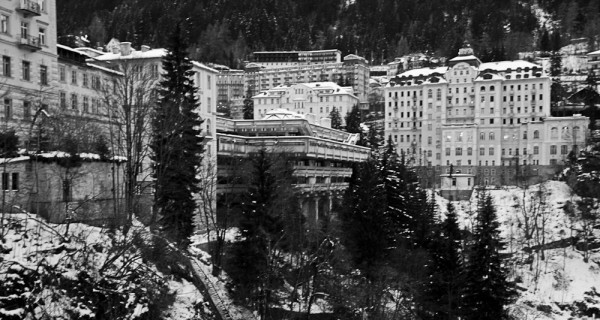 I can’t help but feel that this part of Bad Gastein is going to fall into such disuse the old spa hotels are going to just sit and waste away. 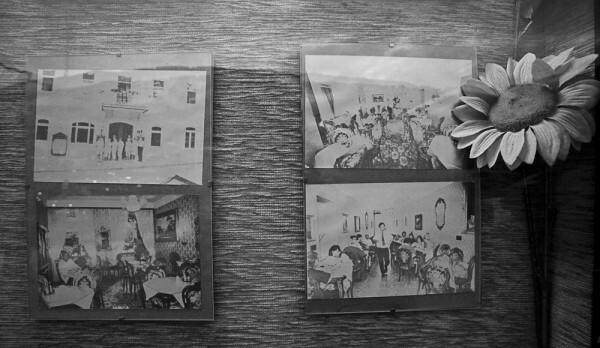 The fresh boards may tell one story, but the faded old photos on the noticeboards and the distinct lack of progress tell another. « 2011 – The Top Twenty.